Though the pride associated with having a really small waist size should be inducement enough to get fit in 2012, nothing's more motivating than getting VIP treatment on-the-house. 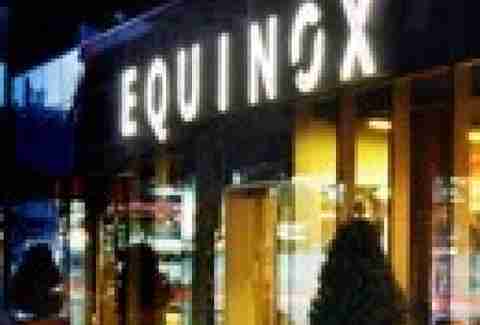 That's why Equinox is offering a Complimentary Three-Day Trial for prospective members, and issuing the January Challenge* to new sign-ups: work out 12 times in 30 days, and get your initiation fee returned. Members can challenge their routine in a one-on-one session with certified graduates of the Equinox Fitness Training Institute, which does not teach Spandex Logistics, but is the industry leader in personal trainer education. Sign up today for the Complimentary Three-Day Trial at Equinox.com, and finally retire that vibrating barbell to the novelty drawer.